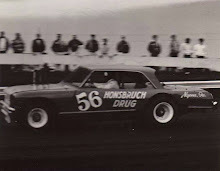 Hutchinson, Kan. (April 18, 1976) - Jack Petty makes his debut as a race promoter Friday. The popular former driver is set to open his first season as operator of the Salina Speedway, having leased the facility from owner E.P. Nichols, who promoted the races there since it opened. 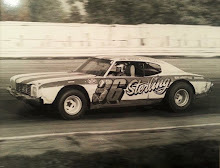 Petty has been a longtime favorite on central Kansas tracks, and was the Salina Speedway champion in 1974 - with help. That was the year he was severely burned in a multi-car pileup at the National Super-Modified Championships at the Kansas State Fairgrounds in Hutchinson. 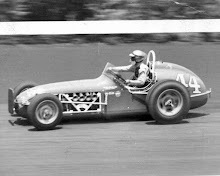 He was leading the Salina points standings at the time, and while recuperating he turned his red Ford over to Salinan Mel Potts, who kept the car atop the points to the end of the season. Last year was his final season behind the wheel. He has spent a long, cold winter waiting to get to work on his new career. Since warm weather arrived - and not too long ago at that - Petty has been hard at work getting the three-eighths mile dirt oval ready for the 1979 season. Shelves, which had formed in the turns at both ends of the racetrack have been bulldozed away. The past two weekends area drivers have been running test sessions - testing both cars and the new surface. Friday will be the first of two preseason events in which the drivers will draw numbers for their starting positions in the heats. The heat finishes will determine the starts of the features. No points are on the line. Petty hopes the races here will draw drivers from as far as Oklahoma and Nebraska, some of whom have indicated they will come for the warm-up events. Then, on May 4, things get serious with the first championship points race. Three different classes of cars will be racing at the speedway this year, but only two have defending champions. Salinan Dave Oltman won the late model championship last year in his #777 Camaro. 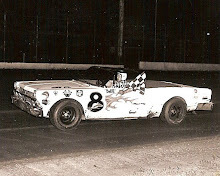 Ad Mortimer, Gypsum, took the junior stock title in his #54 Mustang. 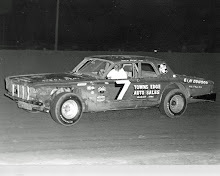 The late models are for 1960-1979 cars running V-8 or V-6 engines. The juniors are for 1949-1979 cars running 6-cylinder inline engines. Both are for American-made sedans with a minimum wheelbase of 108 inches. New this year will be a third class for street stock cars. Permitted are 1950-1969 models with minimum modifications allowed. They must remove window glass and seats, install a roll cage, safety harness, bucket seat and fuel cell (or GI can). The engines must be factory stock, no headers, no trick stuff, no nothing. Only the muffler gets removed. Tires are street rubber on stock (reinforced) wheels. Petty said the street stockers would also be racing at Great Bend's Sunday night shows. Petty said he expected “a real good turnout of cars” for the opening events. Several new cars, he noted, were being built in Wichita, and others are expected from Hutchinson, Great Bend, Dodge City, Concordia and other Western Kansas points.